Knag Mølle was built in about 1780 by the owner of the nearby Lundsgård farm. The mill was originally a corn mill, but was in the 1830s was turned into a bone meal mill, hence the name Knag Mølle (Creak Mill). After three decades, the mill became a corn mill once more. Knag Mølle is a small local mill, which only ground corn for the surrounding farmers. The mill has always had a large undershot wheel. Both the mill's wheel and mill machinery has been preserved. The mill and home lay under the same roof. The house is half-timbered with a half-hipped thatched roof. During the 1830s, Knag Mølle was converted into a bone meal mill. The corn mill was replaced by stamps for crushing animal bones. Agriculture was increasingly begun to use artificial fertilizer as a supplement to manure. Poor and sandy soils were particularly in need of nourishment in the form of calcium phosphate and nitrate. The calcium phosphate was found in animal bones. 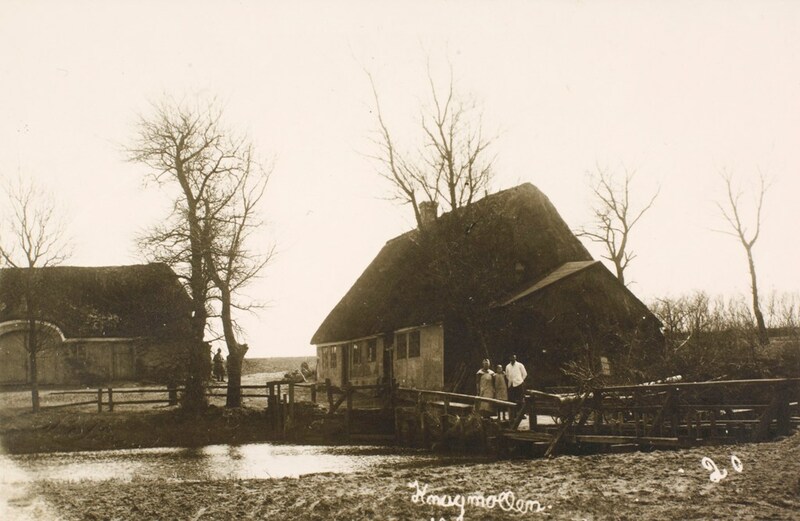 Knag Mølle employed a number of buyers who bought animal bones from the local housewives. Back at the mill the bones were turned into bone meal, which was sold as fertilizer or animal feed. The production was limited. In around 1844, Knag Mølle processed approximately eight tonnes of animal bones a year. After three decades working as bone meal mill, Knag Mølle was reconverted to a grain mill with grinders, bolter and hand-operated hoist. The mill ground for the last time in 1952, but it can still operate. The weir was not only used by Knag Mølle. In the 1800s, on the northern river shore opposite Knag Mølle, there was a stamping mill for treating cloth. The stamping mill was used by North Jutlanders as well as South Jutlanders. The amount of traffic to the stamping mill was the reason for the establishment of a reporting post at Knag Mølle in 1864. The weir was also used for eel fishing. Today there is no trace of the stamping mill or the eel traps. The right to use the river's waters and weirs was such important natural resources that they could be valued and sold. Knag Mølle and the adjacent land was sold in 1870 to Skodborg-Københoved Engforening. It was the right to have and use the water that Skodborg-Københoved Engforening (Meadow Association) bought. The association left the operation of the mill to others. A meadow irrigation system based around the weir was built. It went from Knag Mølle to the west of Københoved. In 1920, Skodborg-Københoved resold the mill with the accompanying land. 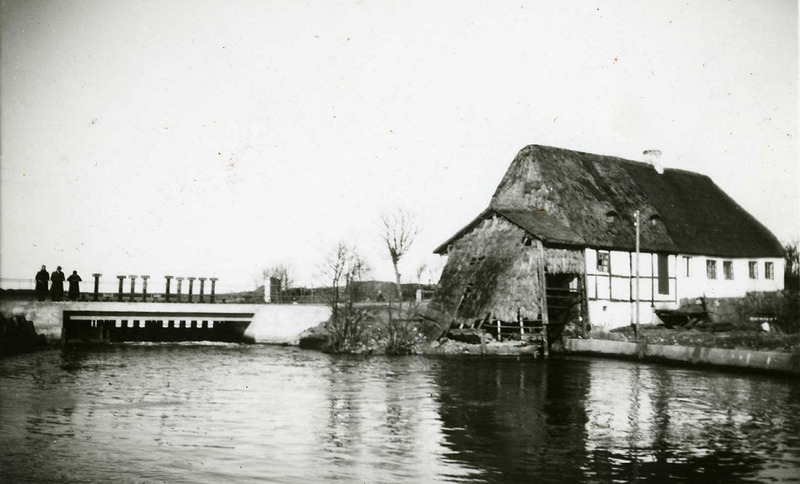 The purchase included part of the river's water that ran freely in the river, while Skodborg-Københoved Engforening retained the right to the part of the water that the association had the right to take up from the river. Knag Mølle has a remarkable cultural historical value and is therefore a listed building. 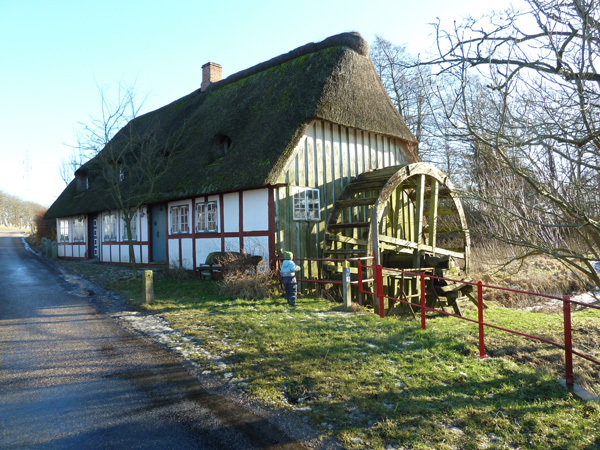 The listed parts include, in addition to the building itself, the large undershot wheels and mill machinery, also Knag Mølle brige, with its distinctive red railings and the two in- and outlets for irrigation canal and mill wheel respectively. The presence of both milling and meadow irrigation system tells a very important story about the use of the given natural foundations. Note that the meadow irrigation channel runs into the mill, which is highly unusual. Lampe, Jens Kongsted: Knågmøllen ved Kongeåen. I Sønderjysk Månedsskrift nr. 9, 1993.